Summer party ideas are always on our mind this time of year and seeing a trend for the humble pineapple, this summer we decided to create everything you would need to host your own Luau. Last week we shared our Luau party invitations and cute glitter pineapple party decorations. 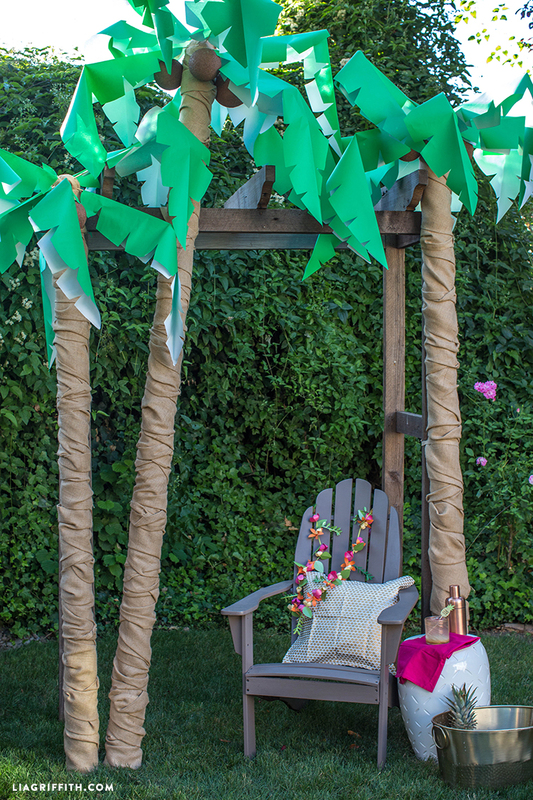 Today I am sharing my tutorial for our DIY Palm Tree – because if you’re going to throw a Luau then you have to have a couple paper palm trees right? 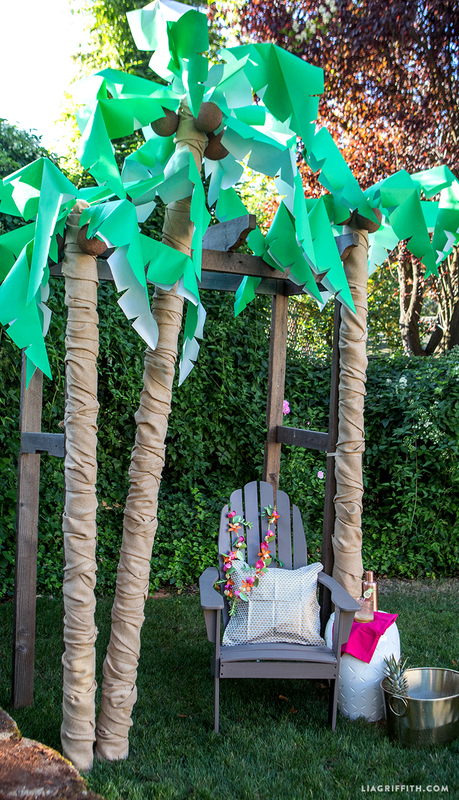 These are statement decorations that get a lot of attention and create a wonderful WOW factor to your Hawaiian, Paradise or Beach themed party. I love creating over-sized pieces like this but they have to be easy to make, inexpensive and disposable – which these are!! 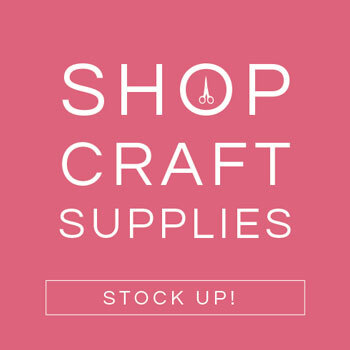 Just recycle the tube and paper and keep the burlap back for future craft projects. Make sure you check out my Kid’s Pirate Party where the Palm Tree’s originated. I have the pattern…..how do you print out the directions? Hi Kay! 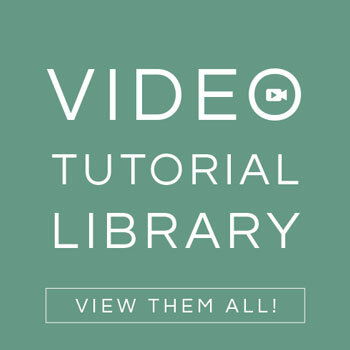 Our older posts don’t have printable instructions– but you can right-click on the photo tutorial then save it to your desktop and print that! Thank you Lia. How long were the skewers for the palm leaves that you used? I just join and trying to print your palm leaf pattern. It won’t print! I’m sorry you’re having trouble! Everything is working fine on our end– make sure you download the PDF to your desktop (don’t try to print from your web browser window, that doesn’t always work). Very brilliant idea!!! Please how do I join the carpet roll tubes to make the tree longer? So glad you like it! I didn’t have to join the tubes together so I’m not sure what would work best, but would try duct tape or something heavy duty. Hi June, the length doesn’t really matter but mine were about 1.5-2 yards long. How fun, we are hosting a tiki party and this is the perfect addition to the decor. What kind of trouble? Try signing in and out, and using a different web browser as it could be an internet/connectivity problem. 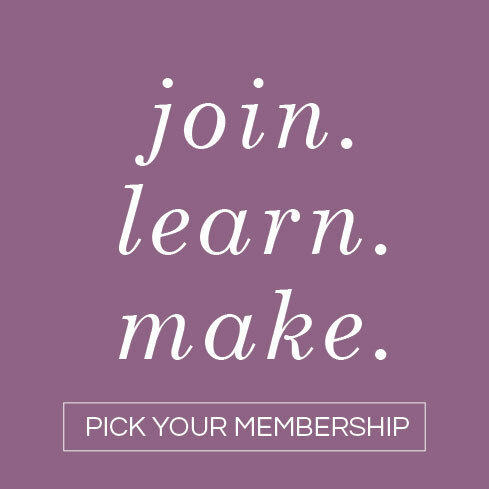 If you’re having trouble with your membership, send us an email at hello@liagriffith.com! Amazing. How large of styrofoam balls did you use? This is super cute! What did you use for the leaves? Thanks! I used green butcher paper. Wrapping paper would work, too! Hi! 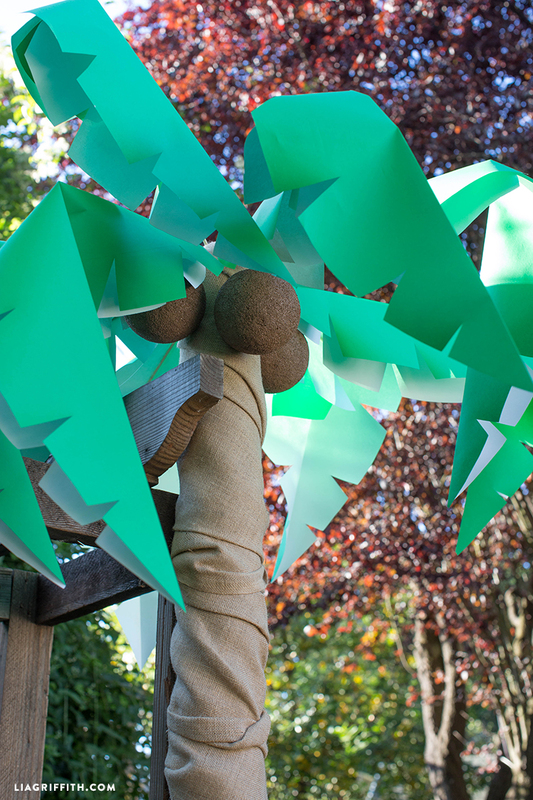 I made two Palm trees like this for my daughter’s Donkey Kong birthday party. Thanks for your Pinterest pin! So easy to make. I would put them in a bucket with cement. Great idea! I made a couple of these for a Hawaiian themed Relay for life. I just happened to have had a couple of 5 gallon buckets with pvc poles cemented in to them from another project. They worked great to slip the tree trunk over & very stable. I used spray adhesive to attach the Burlap, which was quick (except for hand clean up – maybe rubber gloves next time) not as finished edges nicely tucked as in the pictures here, but I liked the effect and easier than working with hot glue! These look amazing! Definitely doing this for my brithday party this summer. What size burlap roll should I get (how long and how many yards)? Yay, I’m so glad you like these Liseidy! To make these I cut strips that were about 12 inches wide. The length doesn’t really matter, just as long as it is long. I probably used about 8 strips for each tree. I hot glued the first strip to the bottom, and then hot glued the top strip when I finished, but other than that, you can just twist and tuck as you wrap the burlap up the trunk. I hope this helps!! From the consignment store. 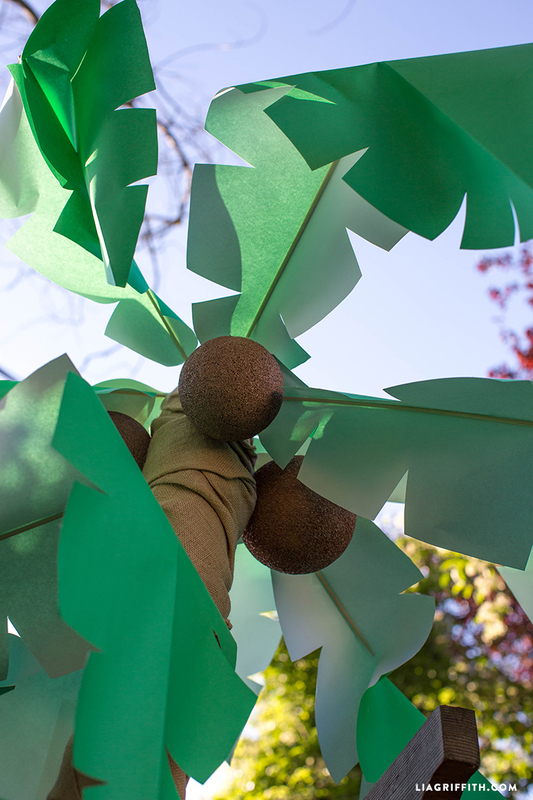 I take the fabric off and use the leftover “frame” to support my leaves! Is it just me? I can’t see to find the The link for the PDF template for the palm leaves. A little hiccup on our end. It should be there now. Vielen Dank für all die schönen Freien Muster. It was a little blooper on our end, the pattern should be up now.